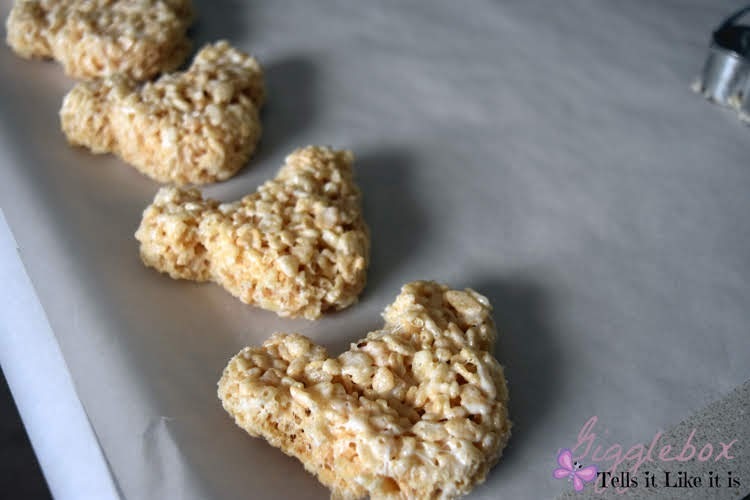 If you've ever been to any of the Disney Parks, I'm sure you've seen the Mickey shaped rice crispy treats. 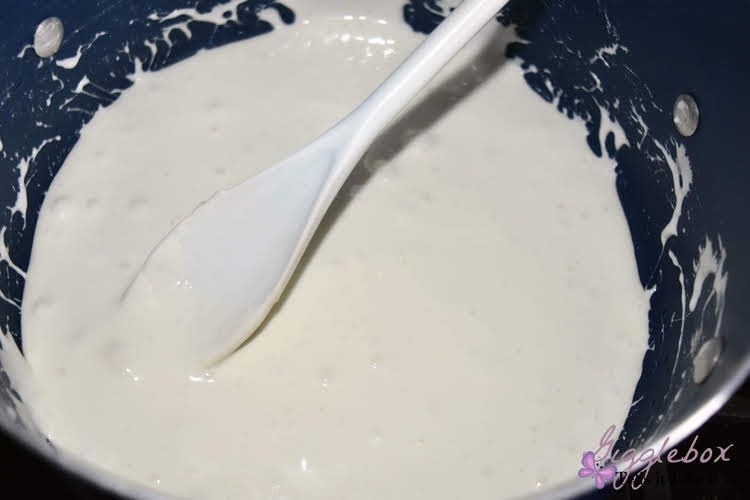 They are actually not that hard to make and can help cure any Disney blues you might have. 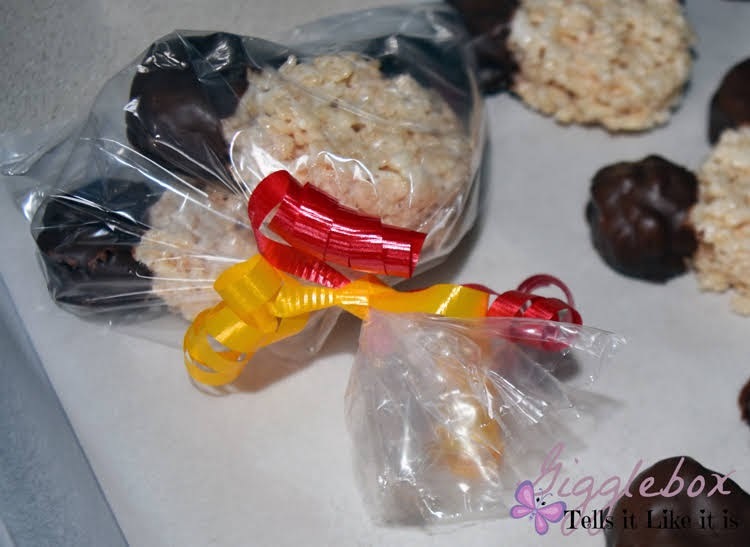 I actually made them for Micheal's Mickey Mouse birthday party a few years ago as the take home treat. Here's how you can have a little Disney at anytime of the year. 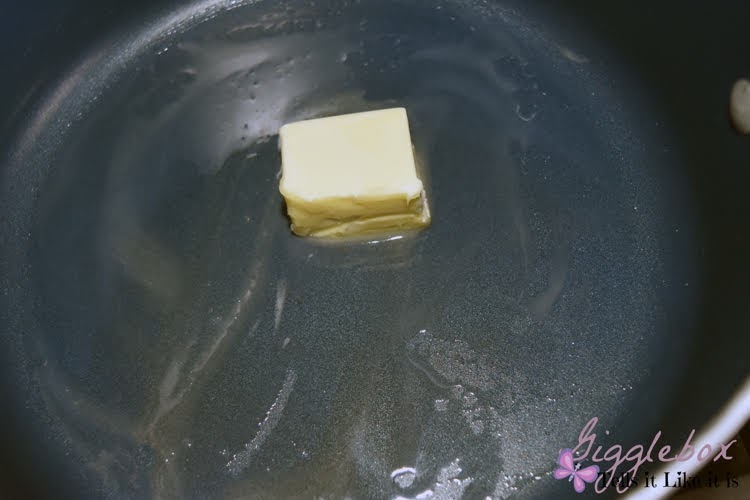 You want to first melt the butter in a large pot. 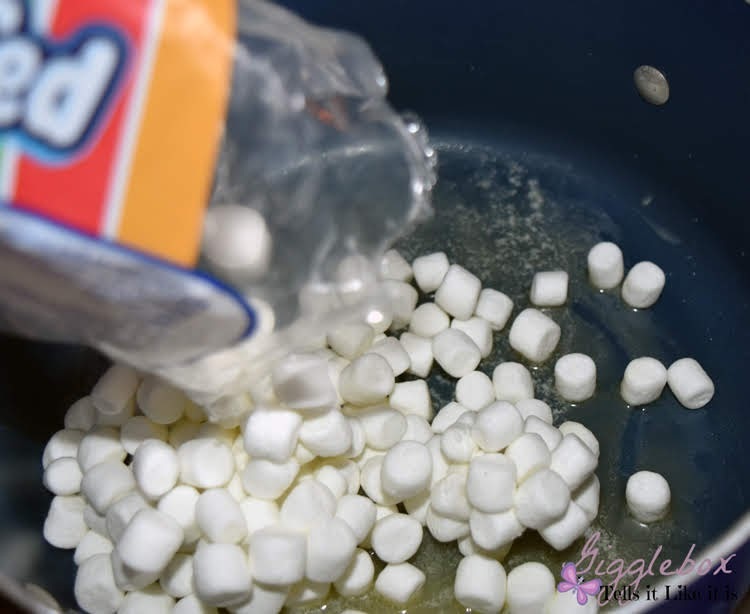 Once butter is melted, add the bag of mini marshmallows. You'll want to coat the marshmallows with the butter while they melt. Marshmallows all melted. If the pot is really hot, this will happen fairly quickly. Once they are melted, turn the heat off. 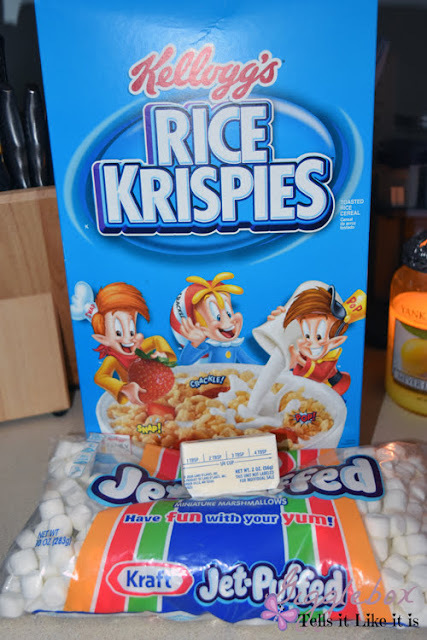 Add the rice crispies to the melted marshmallows. 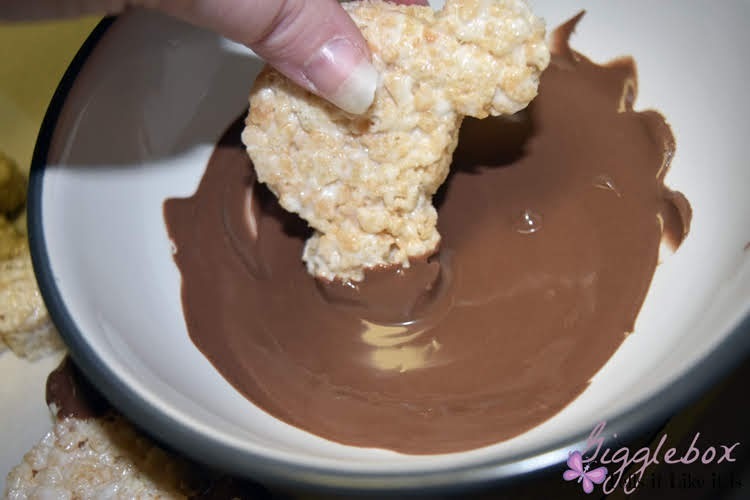 Mix the melted marshmallows with the rice crispies. Make sure they are completely coated. 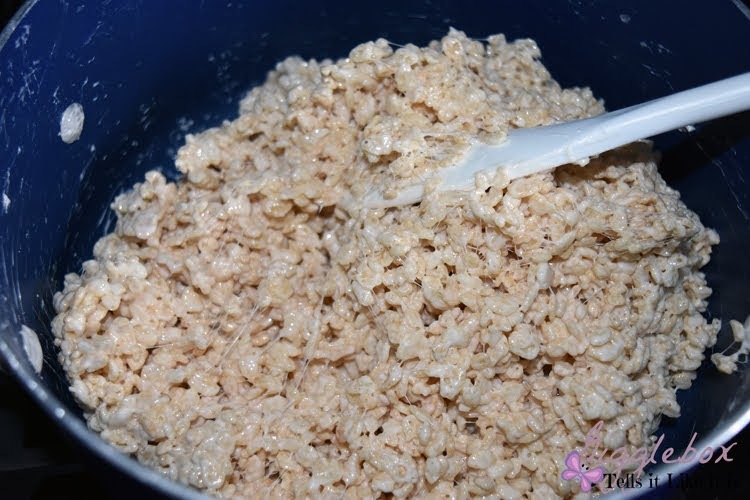 Once the cereal is nicely coated, you'll want to pour the mixture into a greased rectangle baking pan. 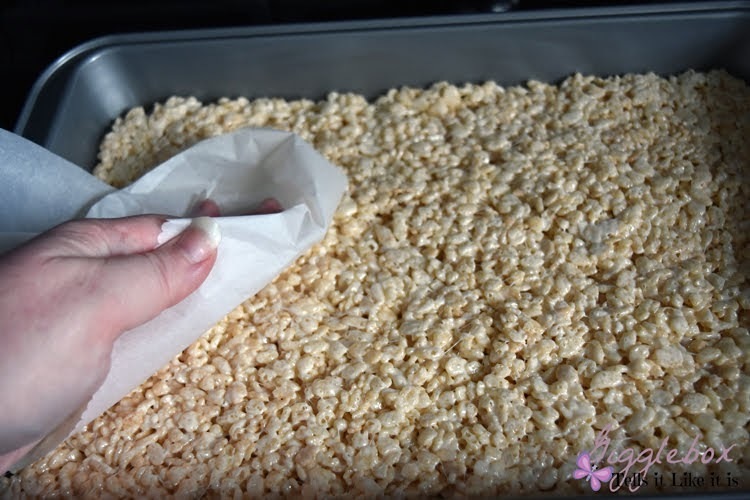 I have found that taking parchment paper or if you are done with the cereal bag, you can use that to help spread out the mixture. 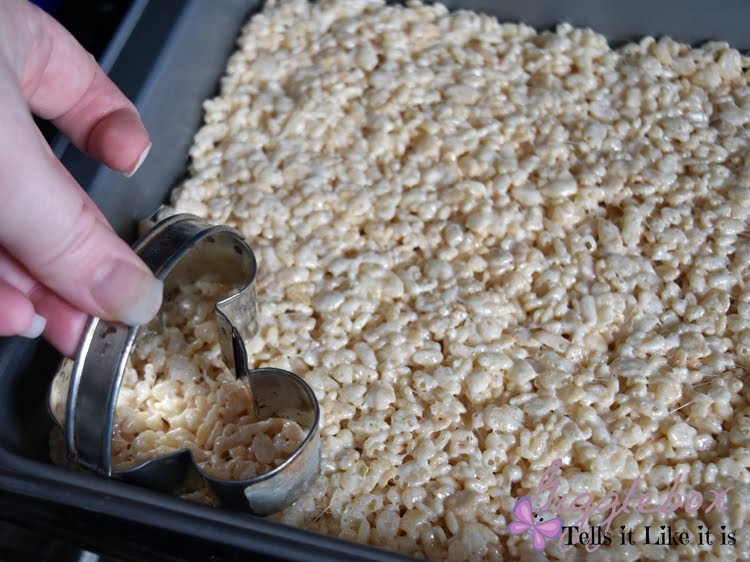 Once the mixture is evenly spread out, you'll want to take your Mickey Mouse cookie cutter and cut out the rice crispy. The cutter I'm using is a small one that my mom had purchased years ago at Walt Disney World. I have recently purchased a newer one from the parks and it is much bigger. 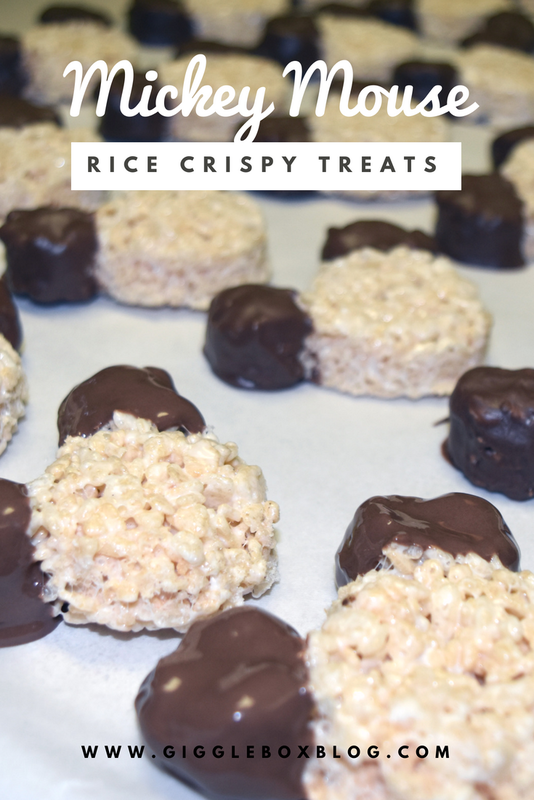 You will get more treats with a smaller cutter. 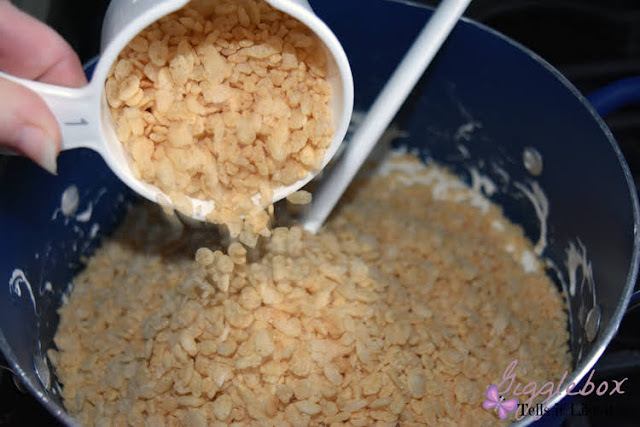 Once you have cut out as much as you can in the pan, push the remainder rice crispy together to then cut more out. Keep doing that until you can't use the cutter anymore. After you cut out Mickey, place it on parchment paper until you are completely done cutting out the rice crispies. I decided I wanted to make Mickey's ears chocolate. So, I bought this container of chocolate chips to melt. 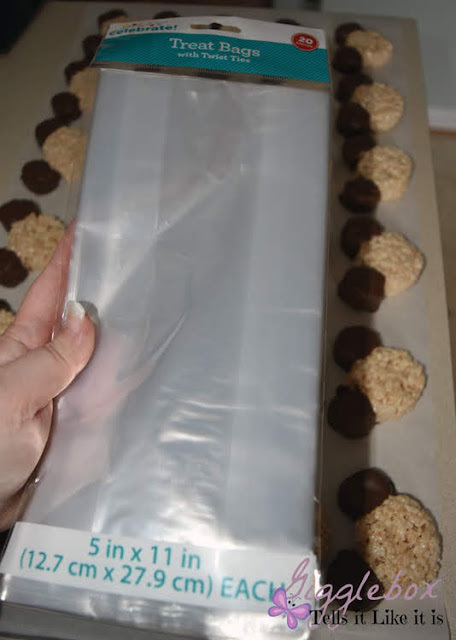 I dipped each ear into the melted chocolate and then set them back on the parchment paper to harden. You could also sprinkle some sprinkles to the chocolate before it hardens to add a little more to the ears. I had bought clear treat bags to bag them in for easy transport home. Since they were rather small, I decided to bag two in one bag. Tied the bags with red and yellow wrapping ribbon and cut the extra treat bag down. There you have it! So simple to make and can help cure any Disney blues or make a delicious treat for that Disney themed party. 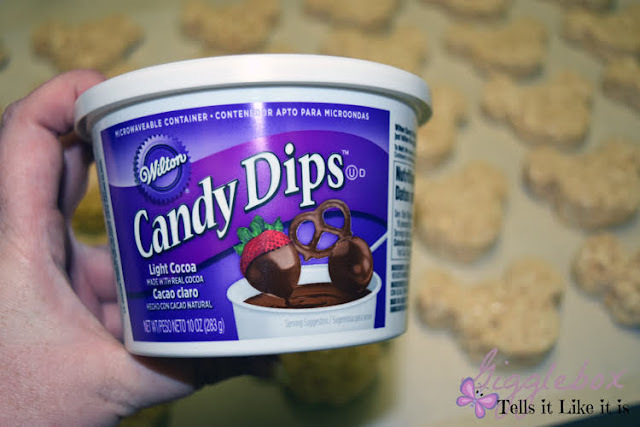 What kind of Disney themed treats have you made?